As you might have surmised from Part 1 of my Wonderfest 2012 review, there was a lot to see at the show. 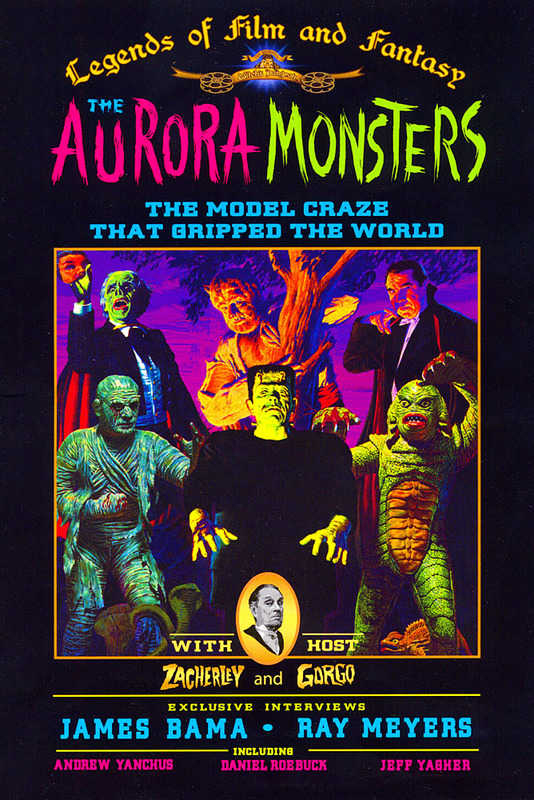 So here’s Part 2, and this time, think back to my October 2010 review of a DVD entitled The Aurora Monsters - The Model Craze That Gripped The World. 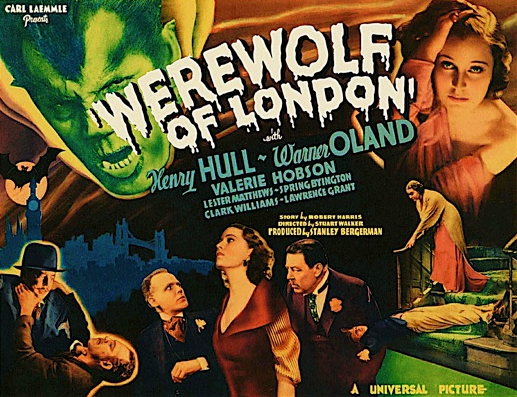 One of the DVD’s producers was Cortlandt Hull, with featured characters that included Gorgo the Gargoyle, his keeper being Bill Diamond. 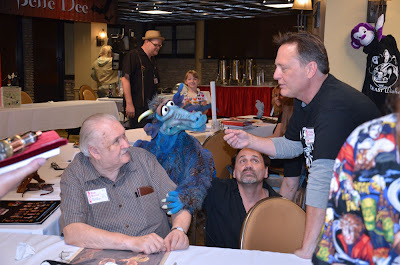 Well, all three of them were at Wonderfest 2012. Cortlandt Hull also created the amazing Witch’s Dungeon Classic Movie Museum in 1966. 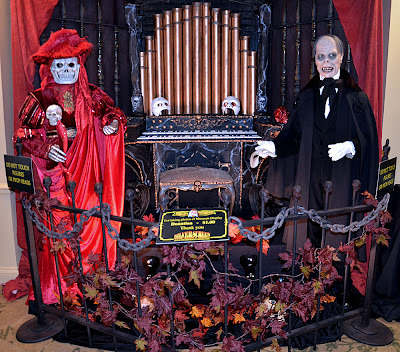 The Witch’s Dungeon celebrates the Golden Age of Hollywood chillers, featuring famed movie stars such as Bela Lugosi, Boris Karloff, Vincent Price and others. Cortlandt still runs the Witch’s Dungeon, and is now hard at work expanding the whole idea to become The Silver Screen Movie Museum and Archive. 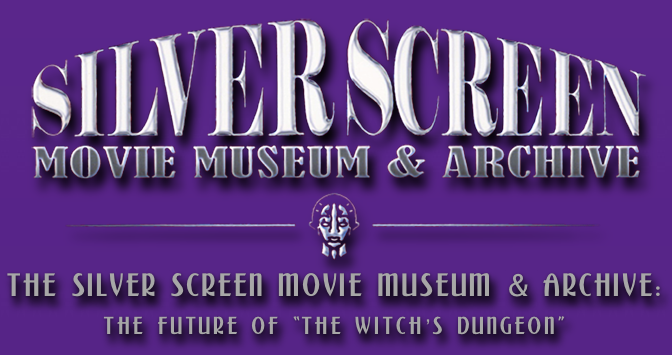 However, despite its Hollywood connections, the Silver Screen is not based in Tinseltown, but in Bristol, Connecticut. Cortlandt Hull with spare head. So what’s the link with scale models? Well, at WonderFest, Cortlandt bought along a selection of 1:1 scale (full-size!) 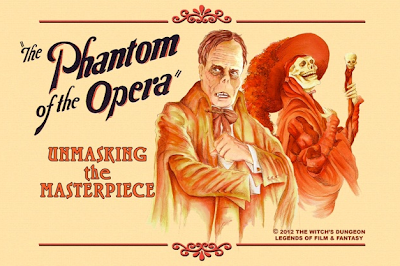 figures, and some scenery too, especially featuring Bela Lugosi’s Phantom of the Opera character. Gorgo the Gargoyle and Bill Diamond (above) with more of his creations in the background. And what about the character Gorgo the Gargoyle? 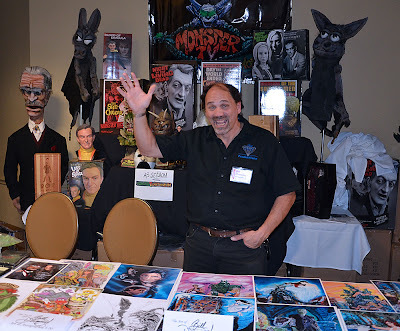 Well, Artist Bill Diamond added Gorgo to the DVD as a foil for the DVD’s host and guide, Zacherley the Cool Ghoul - so Gorgo also got a trip round WonderFest, where he met up with Bob Burns, a legend in the world of Hollyword sci-fi and horror. A sample of the treats in store for you at the Witch’s Dungeon Museum. 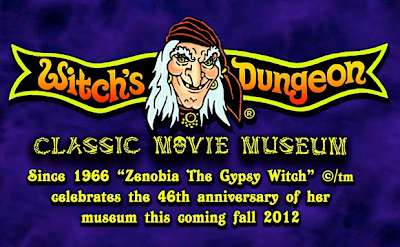 More on the Witch’s Dungeon Classic Movie Museum here. 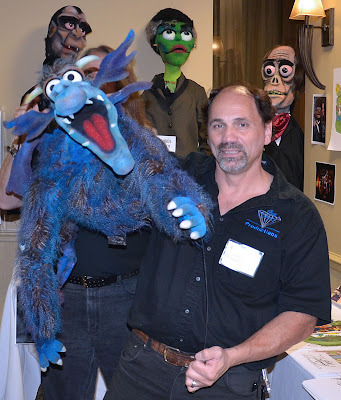 If you are in the area, the Museum is at 90 Battle Street, Bristol, CT 06010, USA. 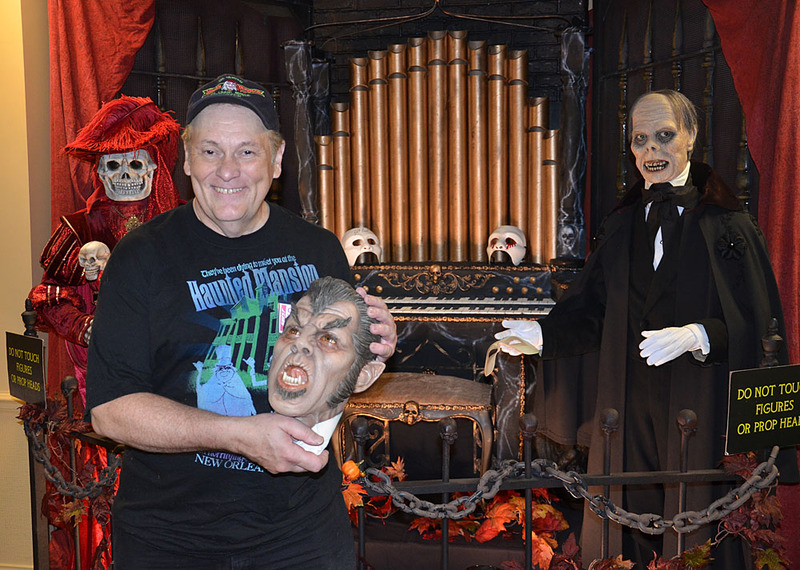 Visit the Bob Burns Museum here. Plenty of sci-fi and horror kits here. Bill Diamond greets you from his stand. Museum fare, courtesy Cortlandt Hull.